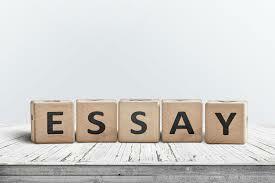 In this article, I will show you how to write an essay in an easy way. In general, I am here for teaching essay writing. There are many very easy and fun way to write a perfect essay. At first, let me tell you something about the essay. It is usually a short piece of writing about any particular topic. The essay is totally someone’s argument about any topic. We can sub-classified essay into two types – Formal and informal. Formal essays are written upon serious matters, as well as informal essays are written upon any personal elements. There are many uses of the essay in general life. Essays are also used in educational purposes. Now, let me tell you how to write an essay. Now it’s time to start teaching essay writing to all of you. It is the first and vital way to start essay writing. At first, you should read carefully and have to understand the question. Then think about that topic. Just highlight the keywords, think about what keywords and create some catchy sentences at your mind. After finding the keywords, now you have some points in your mind to write. But, still, you don’t know about the topic. Now, you should choose a topic which is relevant to your keywords. If you think it’s too hard to choose a topic, you can take help from your teacher. He will definitely help you to find a good topic upon your keywords and word limits. Now, when you already have the keywords and the topic. You can start your writing work. But, before starting about your topic, you must have to add some thesis about your topic. Tell your readers about the purpose of that essay. Start your essay with the state of your topic and main arguments about the topic. That single paragraph must carry the solvation of the overall problems. After creating the thesis of the essay, the next paragraph has to be the introductory paragraph of your essay. It means you should write a short story to catch your reader’s attention. The most important part/paragraph of essay writing is here. Now you have to write about the ideas upon your topic. Try to make your topic as much clear as you can to your readers. If you need you can give some tips about that topic. Write each paragraph about your main idea. Must include your keywords in your topic. Now, when you wrote all about the topic in the body paragraph. In this paragraph, you don’t have to add an idea. Just summarise your hole content here and try to write within 5 lines. Don’t make it so big. Here you have the chance, to sum up, the whole topic and close the topic. Now, when you have the whole essay it’s time to proofread and edit your essay. Just make sure that you have used correct format to your essay. Check out the points you maintained in your body paragraph. That’s it, save it and your essay is ready to submit. In this article, I was teaching essay writing to all of you. Must remember all of the points before writing an essay. It will be helpful to you if you can remember all of the points of this article. Here is the easiest and fun way to write an essay in some time.